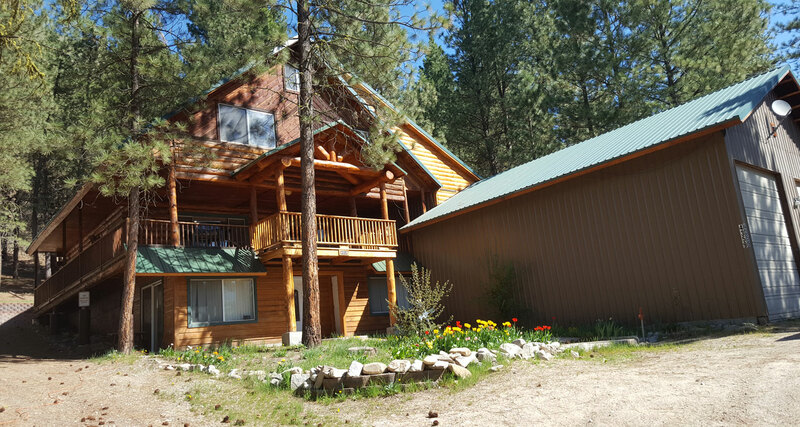 This is a beautiful and wonderful spot in the Idaho Mountains! The Cabin is located in a place that is remote enough to get away but not so remote that you can't get there. We are near the end of the pavement where you can go hiking, quading, boating (Anderson Ranch Reservoir is a few miles down the road), fishing, swimming, or visit the natural hot springs nearby. This is a great spot for a family! 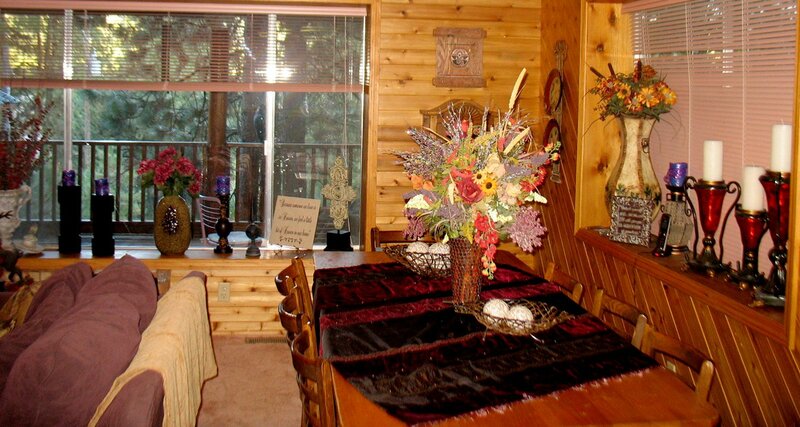 The Majestic Cabin sleeps up to about 12 and has 2 baths and two private bedrooms with queen beds. 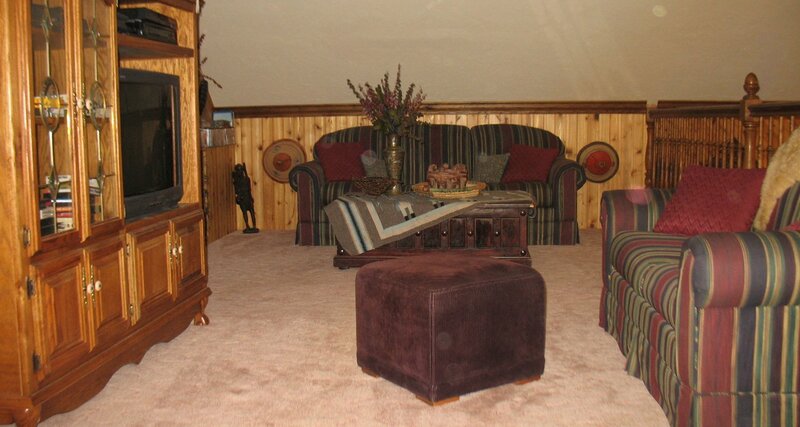 There is a loft areas with 3 double beds and an entertainment area. There are plenty of places to sit and talk, read, play games, or just pass time quietly. 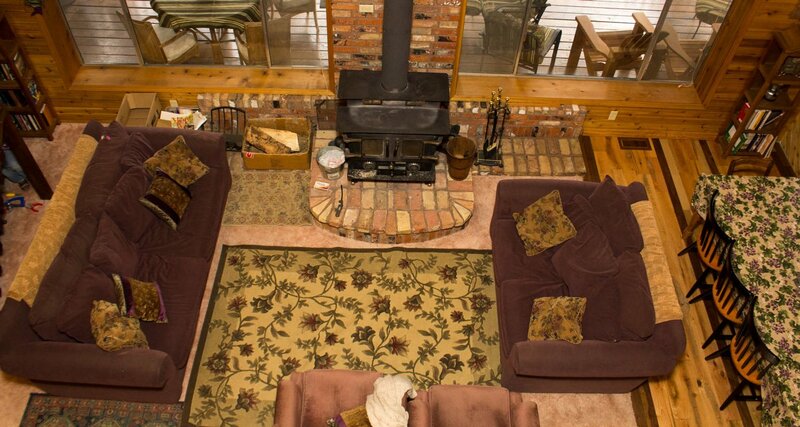 Outside you are in the heart of recreational opportunities! Take a hike, tube the river, ride your quads or snowmobiles from our driveway, take a drive, and more. 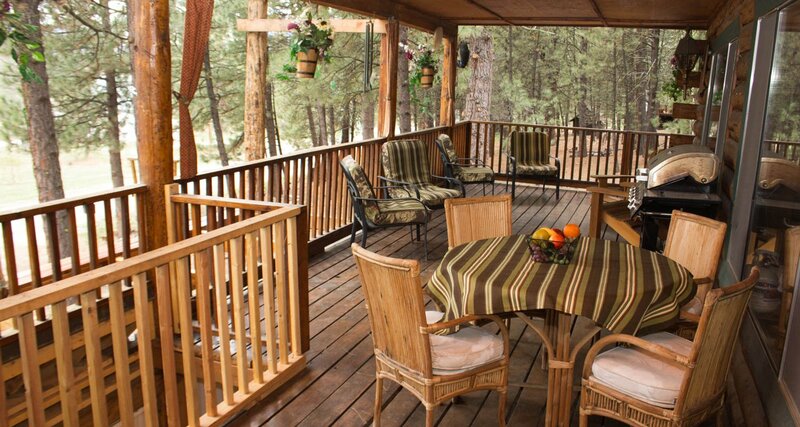 We normally see deer & elk from the deck (depending on the time of year and how much noise people are making). If you don't have all the "toys" (i.e. quads, motorcycles, boats, wave runners, etc) there are many things to do and see close to home or if you like to explore further you can drive up past Rocky Bar to Atlanta or to the Trinity Lakes - or take a drive through the mountains to Sun Valley or Boise via the back roads. Try your luck at panning for gold in the rivers if you want to or have a picnic under the soft pines near the mountains and lakes. In the winter there are over 380 miles of groomed snowmobile trails. 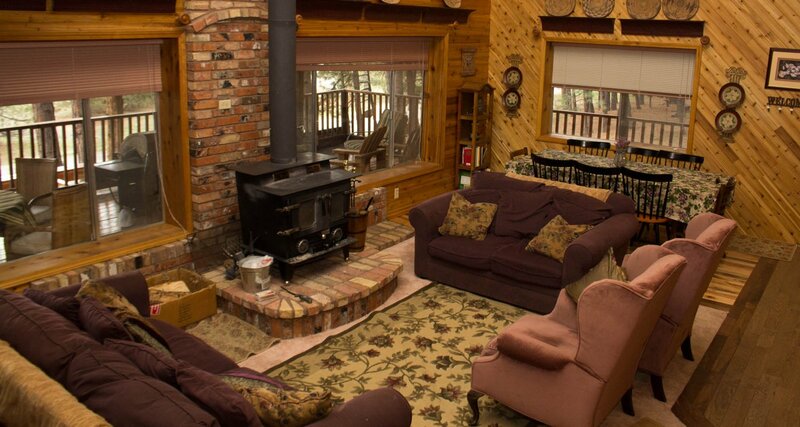 You can drive in and snowmobile out from our cabin. You can snowmobile north to Rocky Bar (a ghost town) and then head towards Atlanta or loop back past the Trinity Lakes at 8,000+ ft in elevation. So many sites are breathtaking and a beauty to behold no matter the season. It's a wonderful place to use your photography skills and take family pictures to treasure forever. Come and experience the mountains!